2.0 Movie Review - Cinematic Blockbuster! 2.0 is released today that is on 29th November, 2018 (Thursday) and expectation is humongous. 2.0 is the sequel to Robot. Robot was a big Hit at the time of its release and hence, curiosity level is sky high from the film. 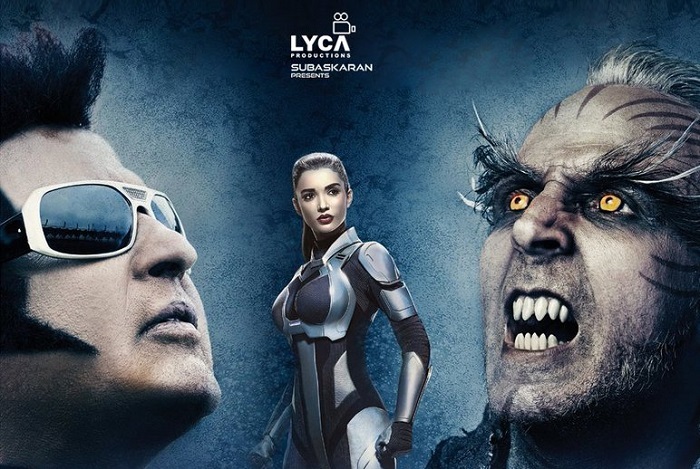 2.0 stars Rajinikanth, Akshay Kumar and Amy Jackson in lead role. Film is directed by talented Shankar. It is the costliest Indian film ever made till date. As per reports film landing cost is Rs 550 crores. It is easily the much awaited release of the year. 2.0 is competing with none other than the mighty Baahubali series. With so much of expectation let's start the movie review. Story - Story of 2.0 begins where Enthiran (Robot) ends. Cellphone starts disappearing mysteriously in Chennai city. Soon after that mobile phone towers and person related to mobile phone companies are getting murdered by these cell phones. Some mysterious evil force is driving these cell phones. As all hell broke loose in the city, the government calls an emergency meeting. In the meeting Scientist Vaseegaran request the home minister to bring back old Chitti, the dismantled advanced robot, to counter the unknown ‘fifth force’. Will minister accept the proposal of Vaseegaran? For that one has to watch the film in theatres! 2.0 story starts with a bang in first half. From first shot itself film runs in a brisk slick pace. Film is a visual delight. It is extremely difficult to say that 2.0 is an Indian film. Film ends the interval on a high note. Second half starts with the flashback of Akshay Kumar's character of old man. Honestly the backdrop story of that old man is quite emotional and touches your heart. Finally the duel between Chitti 2.0 reloaded and Pakshi Raja (Bird Man) again played by Akshay Kumar is the USP of the film. No doubt such action scenes are never seen before. Direction of Shankar is exceptional. He is a visionary. He may be alongwith S.S. Rajamouli are the two greatest director of Indian cinema right now. Coming to performances. Rajinikanth steals the show from first scene itself. Whether he is playing the character of Vaseegaran, Old Chitti, Chitti 2.0 or even the small Chitti 3.0. He is good, he is bad and in some parts he is extremely hilarious. No one can play the iconic character of Chitti other than legend Rajini Sir. He is the heart and soul of the film! Akshay Kumar has given his all in the film. The old man character played by him touches every soul. 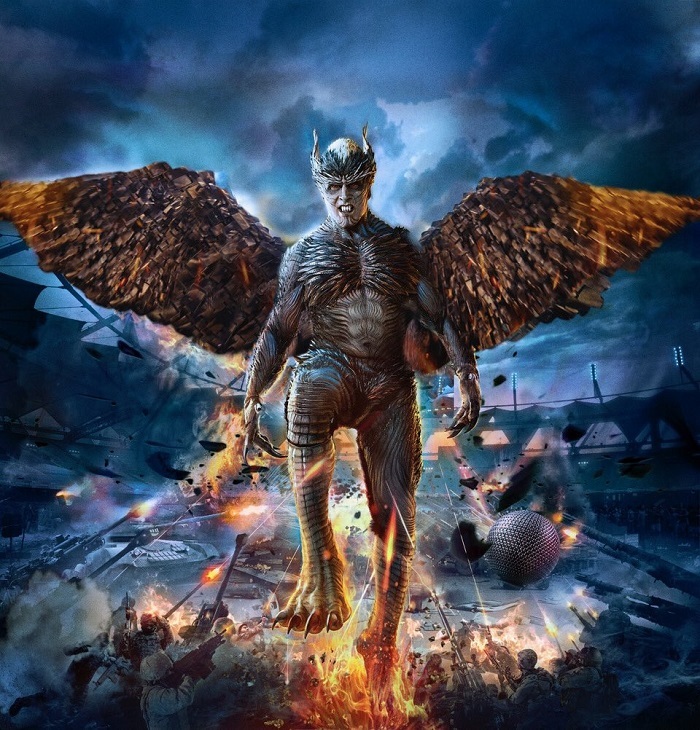 On the other side he looks a deadly 'evil' in the role of a Bird Man. Yes, Rajinikanth was right when he said that Akshay is the Hero and Villain of the movie. He arrives bit late in the film but after that it is all his shows. He stands shoulder to shoulder against Rajinikanth and has delivers his best. Amy Jackson looks drop dead gorgeous in the film. I can bet that no Robot is as beautiful as Amy. She stands her own against the likes of Rajinikanth and Akshay. She delivers her best performance till date. 2.0 VFX is amazing. It is world standard. Definitely the best ever to come out in India. In fact it is a cinematic marvel as far as VFX is concerned considering the budget. Film delivers world class VFX in a much minimal budget. As film is shot in 3D. It is a delight for the viewers. Definitely the best 3D job done for any Indian film till date. If we consider the VFX or 3D format it is on par with Hollywood or even better at some places. Yes, this is totally true. Film simply excels in these department. And for that kudos to the makers and vision of Shankar. Every penny is well spent. Verdict – 2.0 is a cinematic marvel. It is a sure shot Blockbuster. Not only film is a visual extravaganza but also it delivers a beautiful message on the cell phone usage. Such films are above box office collection. However, my gut feeling is that film will do excellent business at box office. Film may starts bit slow on Thursday but will gain momentum as day progresses. With good word of mouth we can expect film to grow big on Saturday and Sunday. And yes, film should definitely hold well from Monday onward. Generally we don’t go wrong with the verdict. And our verdict is that 2.0 is here to stay for months at box office. It is a fierce attack at ticket counters. Rating – 4.5/5. And 5 on 5 for the VFX. Highly recommended and watch it specially in 3D format. I have a great feeling that 2Point0 gonna be a worse movie than raone. where is noon and evening shows update? Jinhone movie nahi dekhi wo bhi negative comment kar rhe hai. Best indian movie bahubali thi and 2.0 usse bhi better 3d vfx everything. Bollywood ki toh koi movie stand hi nahi krti iske aage. Vfx 3d batman avengers se compare kar rhe hai jisne bhi dekhi hai. Jinhone dekhi hai dekhe aur sahi tareef kare faltu main personal fav star se compare na kare. Raone toh and race 3 all are disaster. Watch it in 3D aur agar achi movie kisi ko pasand nahi hai kam se kam negativity na failaye. Indian cinema reached to next level. Thank you Akshay, Rajani and Shankar sir. aksha ka nai thanks to Rajani and Shankar only. Are Virat Bhai, kya kutte ki tarah bhoke rahe ho yaar, kuch toh sharam honi chahiye. All the reviews are more than positive. Thunderstorm is coming. It will be Housefull everywhere now on. Masterpiece, cinematic wonder.all credit goes to s. Shankar..magestic director. What a good performance.....kudos to the makers! i am sulman khan fan. and i watched 2.0 yesterday. its good movie. one time watch movie. moral is good. and family movie.